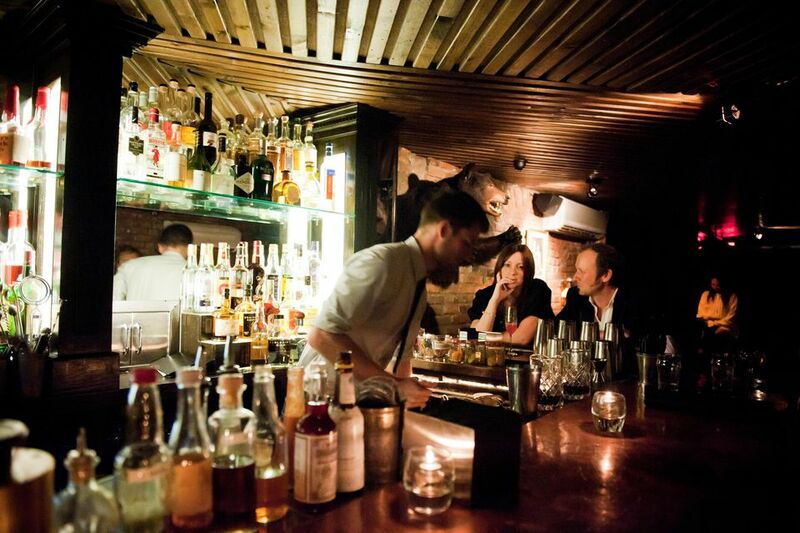 If you're going on a trip to New York City, chances are you might indulge in some adult beverages in some of the city's world-class pubs, bars, clubs, and restaurants. It's always best to know the rules in a city you're not familiar with before you show up. Here's the lowdown on the most important info for NYC. The legal drinking age in New York City is 21, as it is everywhere in the United States, and most bars and restaurants will ask you for your ID if you look like you might be under 21. In most cases, people under 21 aren't allowed in bars, but they are allowed in restaurants where alcohol is served. Some concert venues restrict guests to those 21 and over or 18 and over. This is usually how they enforce the drinking age; you'll be carded at the entrance to the venue but not again when you go to the bar. This is usually very clear when you buy a ticket to an event, but it's something to keep in mind if you're traveling with older teenagers. Some establishments have wristbands for guests that have already proven their age and are allowed to buy alcohol. Liquor cannot be served by bars and restaurants in New York City from 4 to 8 a.m. daily, although some bars and restaurants choose to have their "last call" and close earlier than 4 a.m.; it's up to them. Said another way, this rule means that bars can serve alcoholic drinks from 8 a.m. until 4 a.m. the next morning if they so choose, except on Sundays. As of September 2016, as a result of the so-called Brunch Bill, restaurants and bars can start serving alcoholic beverages at 10 a.m. on Sunday rather than noon, which had been the law since the 1930s. This means you can have a mimosa or bloody mary with Sunday brunch, which wasn't possible before the passage of this bill. New York City liquor laws limit the sale of wine and spirits to liquor stores, but beer is available in convenience stores, delis, and grocery stores. You can buy beer 24 hours a day, except for on Sundays, when it cannot be sold from 3 a.m. until noon. Liquor stores cannot sell alcohol from midnight to 9 a.m. daily, except on Sundays when sales are only allowed from noon until 9 p.m. Liquor stores cannot sell any liquor or wine on Christmas Day. In New York City, it is illegal to drink alcoholic beverages in public places; this also includes possession of an open container of alcohol. This is true whether or not you are of legal age and applies to drinking alcohol or alcoholic beverages in parks, on streets, or in any public place. As of March 2016, police will not arrest offenders in Manhattan found with an open container, but they can still issue a summons, aka a ticket. This change in enforcement only applies in Manhattan, so in the other boroughs, they will not necessarily be so lenient. And you can still be arrested, even in Manhattan, but it's less likely that they will arrest you just for opening a bottle of wine in the park.